more pictures of the island "Lopud"
The beautiful island of Lopud is situated northwest of the city Dubrovnik and is a part of the Elafiti islands. 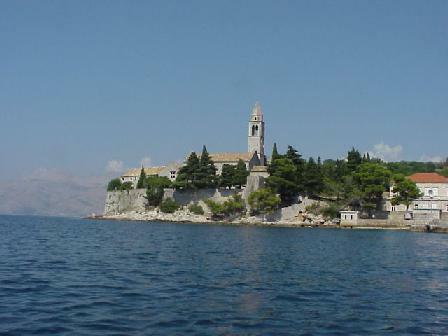 The Elafiti islands seen from Dubrovnik to the north are Daksa, Koločep, Sv. Andrija, Lopud, Ruda, ipan, Jakljan, Tajan and Olipa. Most of these islands are very small and uninhabited. For more information about the designers. 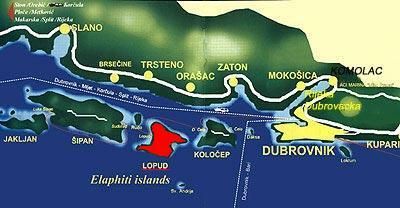 The islands Koločep, Lopud and ipan are the only inhabited islands. Lopud lies between the other two islands and is, in our opinion, the most beautiful. 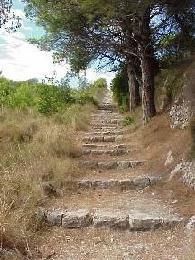 Lopud has an area of 4,63 km2, the highest point is Polacica at 216 meters. Currently Lopud has about 220 inhabitants. 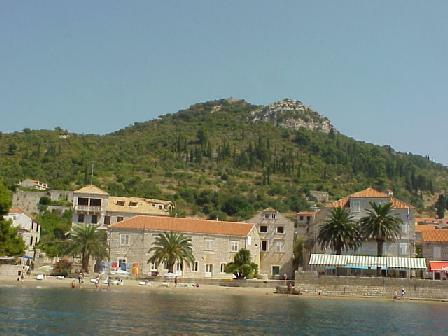 The village of Lopud lies on northwest side and has a view of ipan. The two hills are connected by a beautiful valley where a footpath goes through to the bay called unj on the other side of the island. 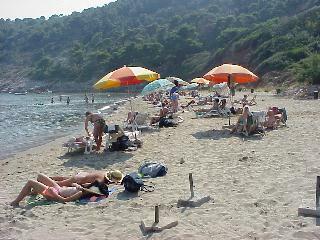 unj-bay is famous for its famous beach. The bay is almost round with a narrow entrance, totally filled with white sand and gets deeper only very slowly. The ideal spot for little children. It is possible to get something to eat as well as cold drinks on this side of the island and there are also sun beds and beach umbrellas for hire. For pictures of the city Dubrovnik. Click here. 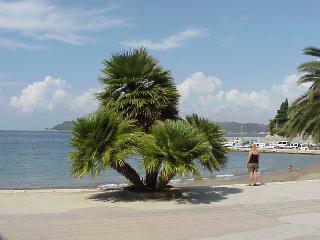 For further pictures of the island "Lopud" Click here. 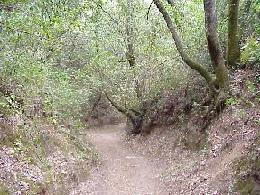 The northeast side of the island is not easy accessible because of the rocks and steep cliffs. The island has a coastline of 11,5 km, of which 1,2 km are sandy beaches. 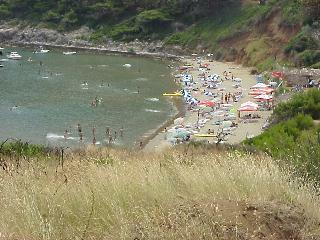 Also, the village by the harbour has two sandy beaches. Although the island has over 2584 hours of sun it also has its own freshwater wells and so is rich in greenery, plants, bushes and trees including palm trees. The park is very well known as a former garden of a villa from the 19th century, where plants collected from over the world such as bamboo and various types of cacti grow. The island was inhabited for thousands of years and you can find a lot of old Greek, Roman and old Slavic buildings and ruins. From 1457 Lopud became the regional headquarters of the Republic of Dubrovnik, at that time over 1000 inhabitants lived on the island and the economic growth of the republic was reflected on the island too. Ship-owners from Lopud had their own fleet of about 80 ships, as well a shipyard. 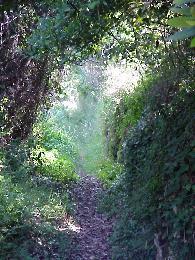 A total of 36 churches and chapels were scattered over the island and Franciscan and Dominican monks built monasteries. If you like a quiet vacation, surrounded by beautiful scenery, some but not too much exercise, good food and wine without breaking the bank - Well think about this place!